The Othello World-Cup (OWC) has just finished in Tokyo, Japan. 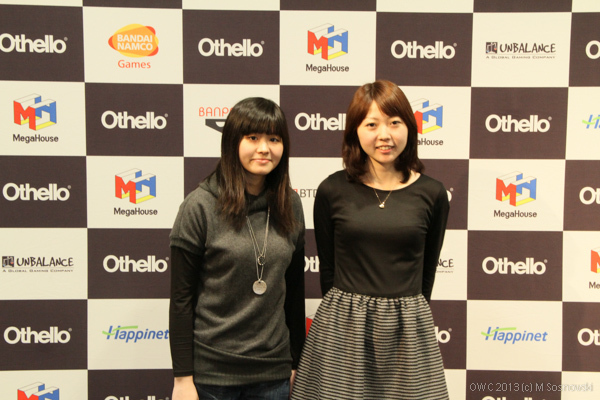 The tournament was a big success with lots of good and exciting games between many of the top Othello players in the world. It has been decided that OWC 2014 will be played in Singapore, and World Othello Federation (WOF) will support the tournament in collaboration with Megahouse. Anjar and Megahouse together with WOF have organized the World Othello Championship (WOC) for many years. Because of an ongoing conflict between Anjar and Megahouse (which does not involve the WOF), WOF have decided that as long as the conflict last WOF alone will be responsible for organizing WOC. That means that neither Anjar nor Megahouse will be sponsoring WOC the next years. Both Anjar and Megahouse support this decision. WOF intend to organize WOC in the same way that it has been organized all years. That means that when OWC invite only selected top players, WOC will still be a Championship with players from all Othello nations which are members of WOF and organize qualification tournaments. In this way WOF want to carry on the tradition from the first WOC arranged in 1977. WOF intend to announce the time and venue for WOC 2013 within 1-2 months. 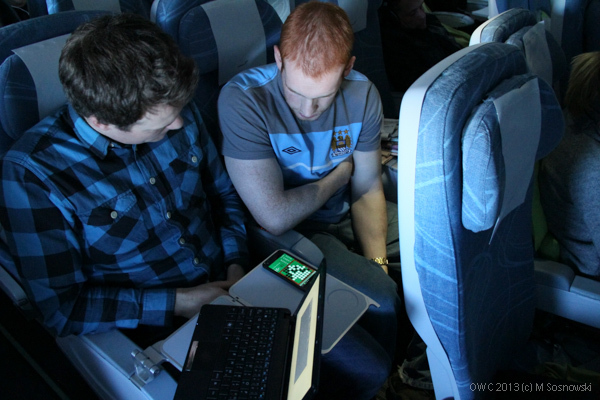 First ever intercontinental Othello tournament at 30.000 feet. Sweden had a strong team with 3 players but the victory went to Norway as Martin Ødegård beat David Hand 26 - 38 in a thrilling final game. Results images and games of this Finnair tourney can be found on the SOF website ! 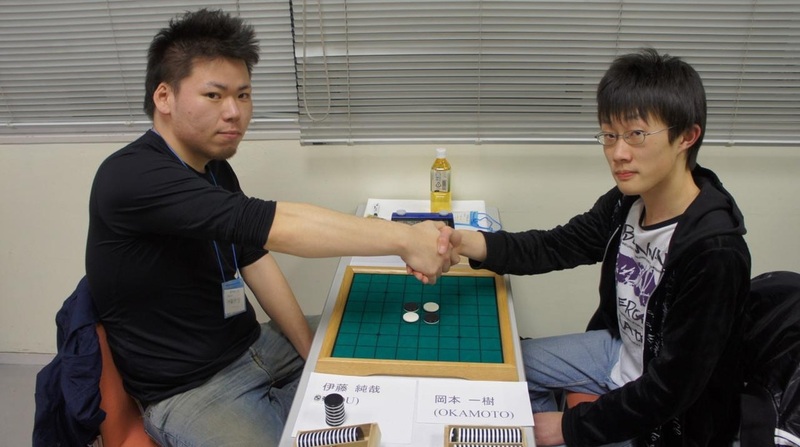 Kazuki Okamoto played a perfect tourney. 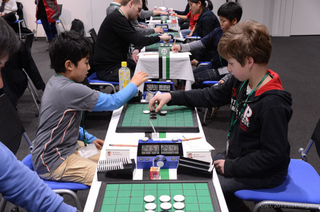 He won all his games in the preliminary rounds.But he met his match in the final. Junya Ito won both final games. Junya received his trophy at the victory dinner and shouted for joy. Everybody was very happy for him. His next goal........ to win the All Japan Championship!!! Mr Masato Koide also announced that there will be a next OWC in 2014 in Singapore. I have heard a rumour that it will not be such a big event as this, maybe just 16 players, time will tell. 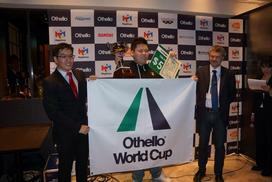 The Othello World Cup was at first presented as a one-time event, to celebrate the 40th birthday of Othello. But most of the Othello players had a feeling the organisation had plans to set up a rival worldwide tourney. For the World Cup, with Megahouse as sponsor, money is not an issue. 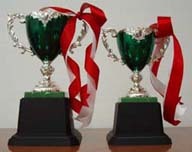 The World Othello Federation has limited funds, but it's World Campionship has a 36 year old history. There is quite a discussion about it on Facebook. I hope the WOF will soon make an announcement about the next 37th World Championship. The Othello federations received an email last week, sent by Tor Birger Skogen about the vacancies for secretary and sponsor manager. As you know, there was no candidates for the secretary and sponsor manager in WOF at the voting at last WOF meeting. Therefore, all nations was asked to propose candidates for these positions. 2 candidates have been proposed, Roman Krazcyk (Poland) as secretary and Roger Gehrke (Sweden) as sponsor manager. 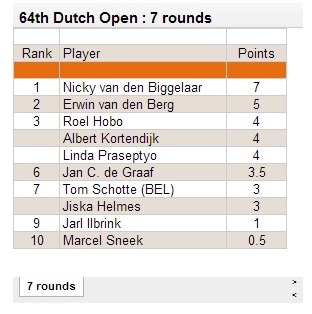 Roman should be well know for many of you, he has participated in a lot of WOC and EGP tournaments for many years. For those of you who are travelling to Tokyo next week for the Othello World Cup, it will also be a possibility to meet him there. Roger has played Othello since the middle of 1980´s. He worked with Othello from 1989 to 2006 when he worked for ALGA AB, the Othello licensee in Sweden. 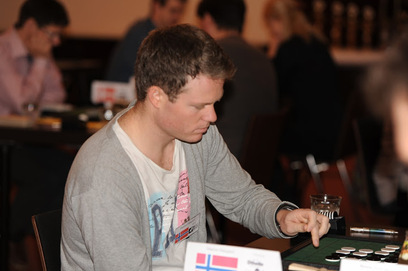 He´s last Othello tournament was Stockholm EGP in 2012. Roger have worked with games, arrangement of Games events and sponsoring of games since January 1984. He have since 1984 learned many companies all over the world and know many of them personal. He also have had much events together with companies outside the Othello and Games sphere. Today he is working with he´s own company who works with Games companies and social media .and events. 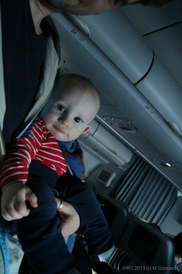 He travel much all over the world to toys and games events and are well known in the game world. Roger have cooperated with Anjar and Megahouse since 2002 and know them both well, and they know him. Roger worked hard for Othello 2002 - 2006 and helped Swedish Othello to their boom 2002-2008. Alga sponsored the Swedish Othello federation 1978-1992 and 2001 - continuing. 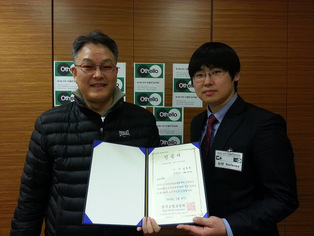 Roger know that the Sponsor Manager is a new role in the World Othello Federation. He want to use his experience to build up an good working position for the manager, create an Sponsor group, build up many useful contacts international and national and learn up interested people in WOF and in federation how the sponsor world is working and how to use it and get good sponsors and contacts. Rogers goal is that the day he decide to go forward the Sponsor managers will stand at their own and work good. I really like the LiveOthello java-applet to display Othello games, designed by Emmanuel Lazard and Stéphane Nicolet. It always worked well on my site and I love the classy look. But since this week's Oracle Java-update, the numerous security alerts are a big eyesore. The OWC in Japan starts next week and the Japanese organistion has been so kind to invite Othello News to Tokyo. Pictures and interviews are great stuff, but I know you also want to be able to replay interesting games. For now, I will use Hamlite v1.60 (Copyright 2009-2011 K.Kawami), a tool that is often used on Japanese Othello blogs. Hamlite has some very cool features:on board analysis of the last 17 moves, copy transcript for WZebra. Take a look at the Hamlite manual which is in Japanese, but the diagrams show it all. This could very well be an OWC training session. 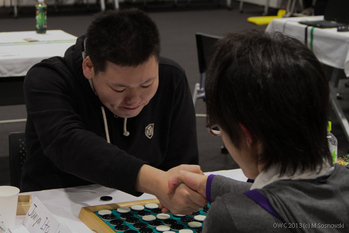 Nicky, Albert, Linda, Tom and Jiska will all play at the OWC main tourney in Japan. Jan and Marcel have been asked to come help as tourney staff and they will enter the 8stars competition. Good luck to all in Japan! Six players at this tourney. The games were shown on liveothello. Martin had a couple of easy wins but in round 4 Jostein Danielsen proved to be a strong opponent. The game ended in a draw, but Jostein timed out by 1 second and therefore lost the game. The two met again in the final and it was a very close and exciting game. 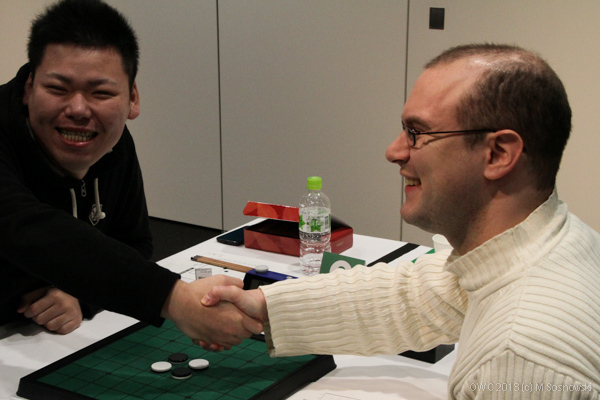 Martin wil play at the Othello World Cup in Japan, end of this month. 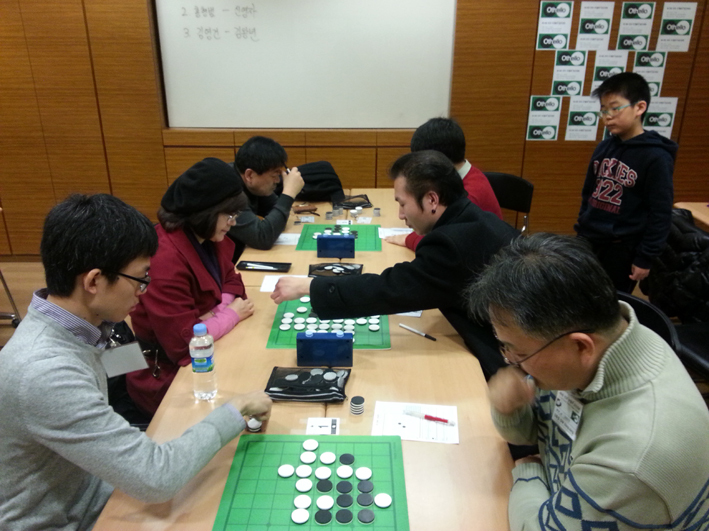 Hitoshi Narumi, number 10 of the 80th Kanagawa open, did not lose a game in this tourney. Junya Ito, winner of the 80th Kanagawa open and of the Shinagawa New year's Cup that was played earlier this week, finished second with 1 loss. 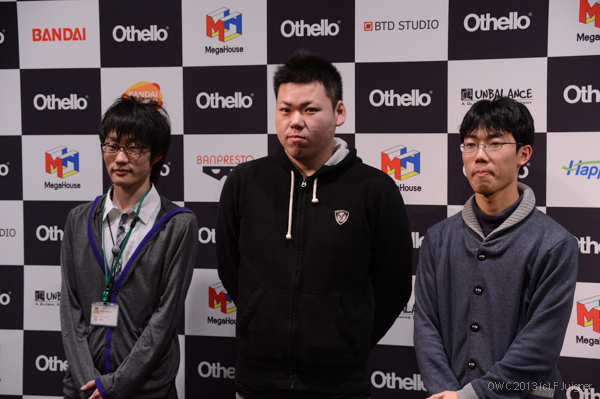 The other players with just 1 lost game are: Yuji Miyazaki, Hiroyuki Iwata and Daisuke Kamikura. 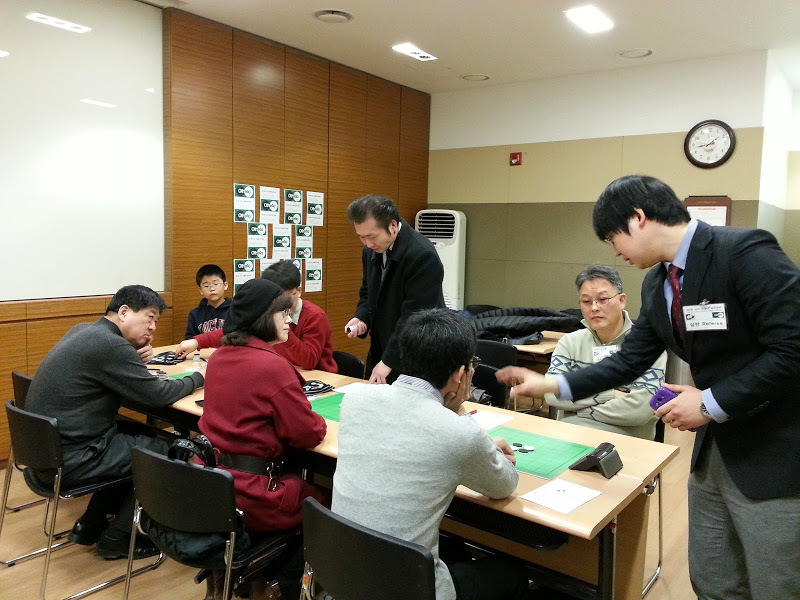 Hikaru Ishizaki finished 6th with 2 losses and Takeshi Murakami finshed 17th with 3 losses. 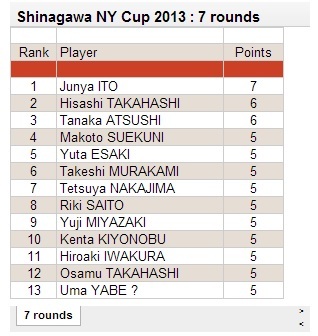 Junya Ito won the prestigeous Shinagawa tourney with a perfect score of 7 wins. 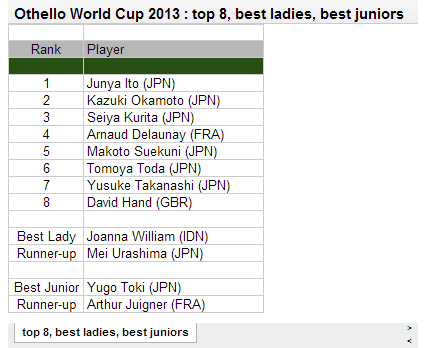 Junya has been selected to play for team Japan at the Othello World Cup at the end of this month. Ito also won the Shinagawa New Year's Cup in 2011 and finished second in 2012, with 1 point less than winner Yusuke Takanashi.